Whether you require temporary storage space during your most demanding time of year or extended long term storage, Polar Leasing can provide added refrigeration and freezer options. With thousands of distribution depots nationwide and thousands of rental units available, Polar Leasing offers the largest electric walk-in cooler and walk-in freezer refrigeration fleet in North America. 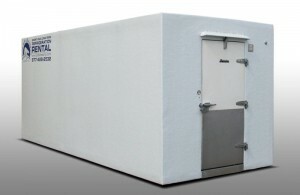 All of our refrigeration and freezer rental units are easy to use and come delivered pre-assembled and ready to operate. All of our equipment is built from one of the most reliable walk-in cooler and walk-in freezer brands on the market, Polar King International, along with their expertise, we have formed one of the largest electric refrigeration fleets in all of the world. Our refrigeration and freezer units provide temperature ranges from 45 degrees down to -10 degrees. Polar Leasing rental units are available in both ground resting and pull behind trailers and come in various sizes ranging from 6’x8’ to 14’x56’. At Polar Leasing, we offer the flexibility of both long and short term rentals and we can meet the demands for additional or emergency storage solutions. To find a Polar Leasing depot near you, contact Polar Leasing today! We have staff on call 24 hours a day in order to help fulfill your needs. We understand most of your emergencies could not be penciled into the schedule, so if the needed arises, just give us a call and we will do our best to simply help you out. 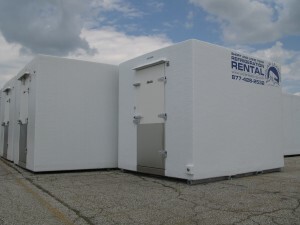 Looking for a combination cooler/freezer(trailer or truck) to purchase or lease. I have a restaurant, and I need to rent a freezer, i have a freezer Traulsen model G22010TG. I would like some like this. I need to rent a freezer while my freezer is being repaired. Can you give me an estimate? Are these available in the Seattle area?